Apocalyptica is an extraordinary Metal band from Helsinki, Finland formed in 1993. The band is composed of classically trained cellists Eicca Toppinen, Paavo Lötjönen, and Perttu Kivilaakso (all three of whom are graduates of the Sibelius Academy in Helsinki) and drummer Mikko Sirén. Originally a Metallica classical tribute band, the band eventually adopted a neoclassical Metal style without the use of conventional guitars. They have sold over four million albums to date. Inquisition Symphony (1998) is their second studio album. The album branches from their previous effort, containing only four Metallica covers. 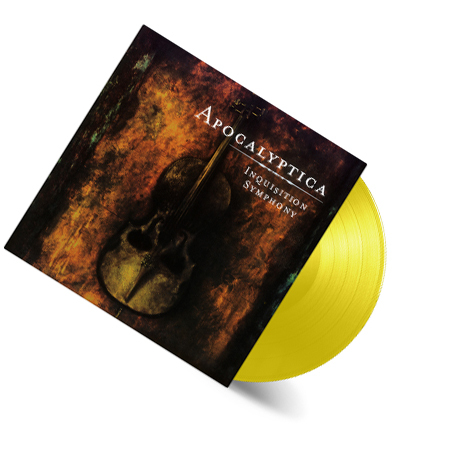 The remainder of the compositions are by Faith No More, Pantera, and Sepultura, as well as three originals by Apocalyptica bandleader Eicca Toppinen. Max Lilja did the arrangements for “One”.